Blaqstunnaz Entertainment presents another wonderful piece from Thespis titled “Bless Me” featuring Didi and Mayorkun. 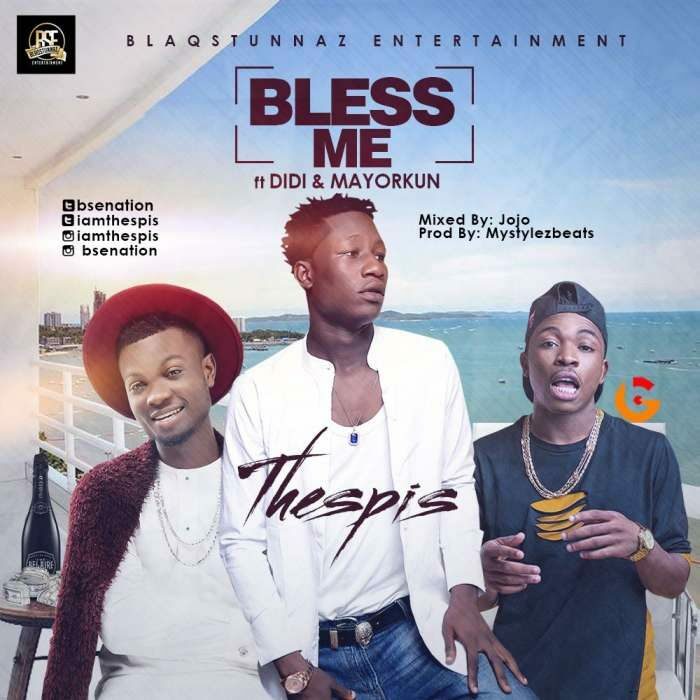 Thespis is a stunning versatile singer who is known to be the Son of a Notable Nollywood Actress by the name Joke Muyiwa. Bless Me is a dope song filled with originality, inspiration and it’s perfect for emotional uplift. Here is a guy who believes that with is musical creativity, will change lives, uplift souls and be a motivational instrument to people in Nigeria and Africa. A kind of music that will stand the test of time. BLESS ME will surely burst your brains.